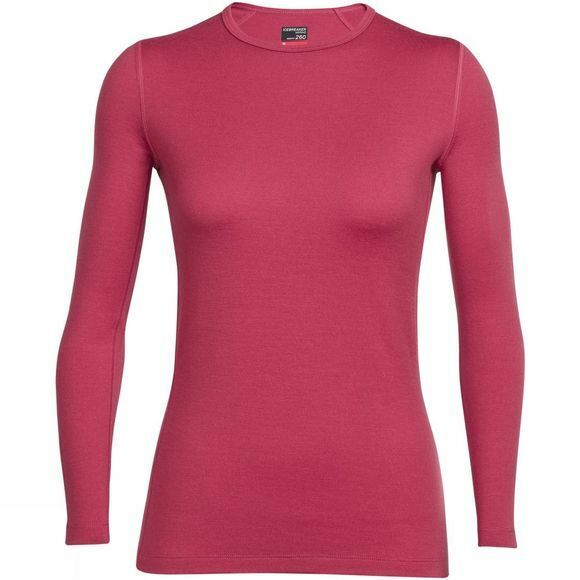 The Women's Tech Top Long Sleeve Crewe from Icebreaker is a midweight baselayer for colder conditions in the outdoors. It features flatlocked seams for bulk-free layering and chafe-free comfort at all times. The crew neck and long sleeves ensure great coverage and heat retention while the Merino wool composition is soft and naturally odour free making it a great option for multi-day activities.